Aura is phenomenal. 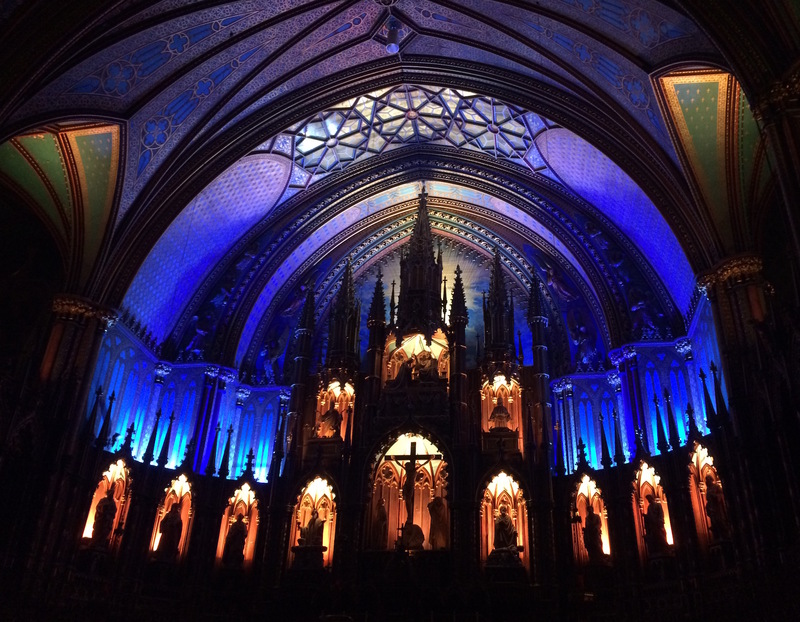 This is a must-see, immersive light and sound show at the Notre-Dame Basilica in Montreal. The venue is an already-exquisite, 19th-century church. The spectacle of state-of-the art projection mapping created by The Moment Factory to animate the basilica’s interior propels its spectators into a special state of ecstasy. The show is a fascinating example of what can be accomplished with an enormous initial investment in technology and creative design. Though there are no live performers or spectator interaction components, two of my favorite things, the ticket price is absolutely worth the experience of witnessing this virtuosic manipulation of light, sound and architecture.